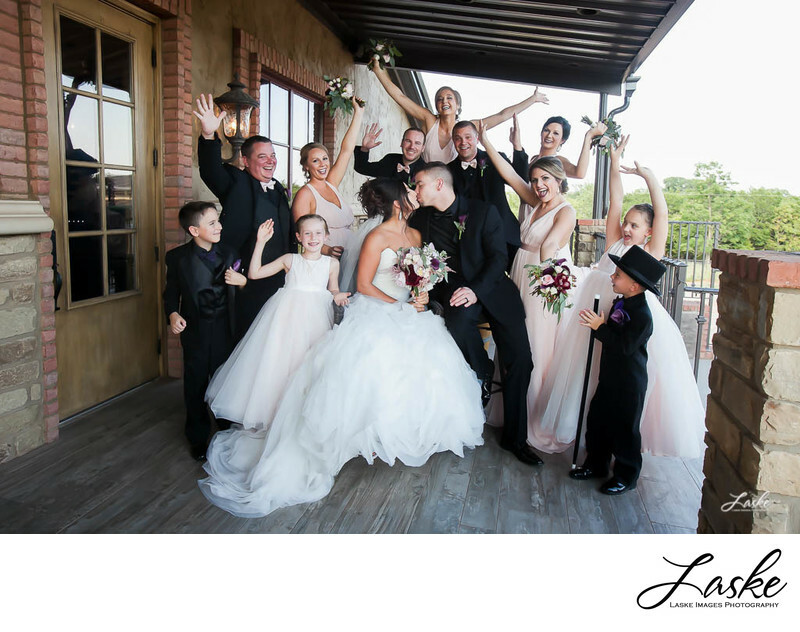 Wedding party cheers as the Bride and Groom kiss on the patio of Clauren Ridge Winery. Outdoor weddings. 1/160; f/7.1; ISO 800; 23.0 mm.